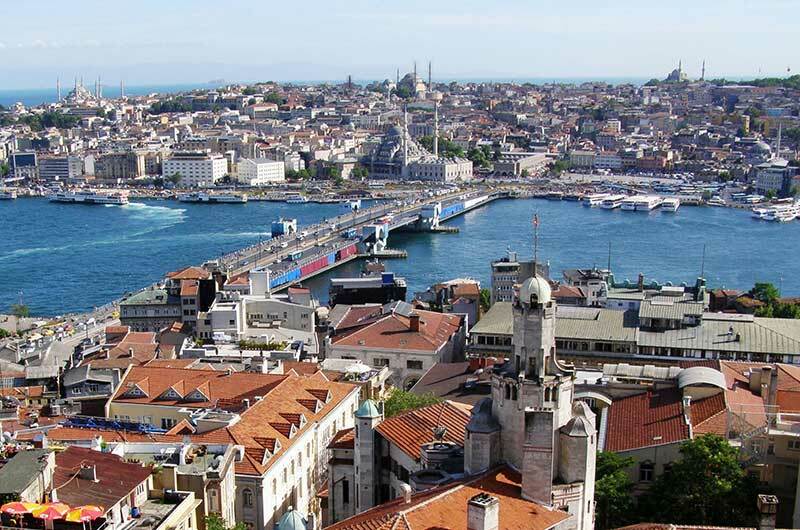 Turkey | Turkey Vacation Packages | Travel Turkey | Istanbul Travel | Izmir Vacations | Gate 1 Travel - More of the World For Less! 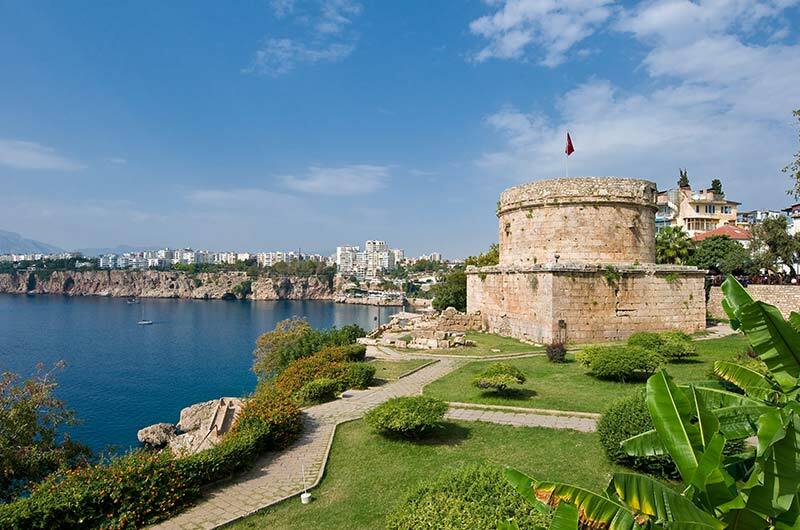 13 Day Affordable Turkey Book By Jun 13, 2019 & Save! 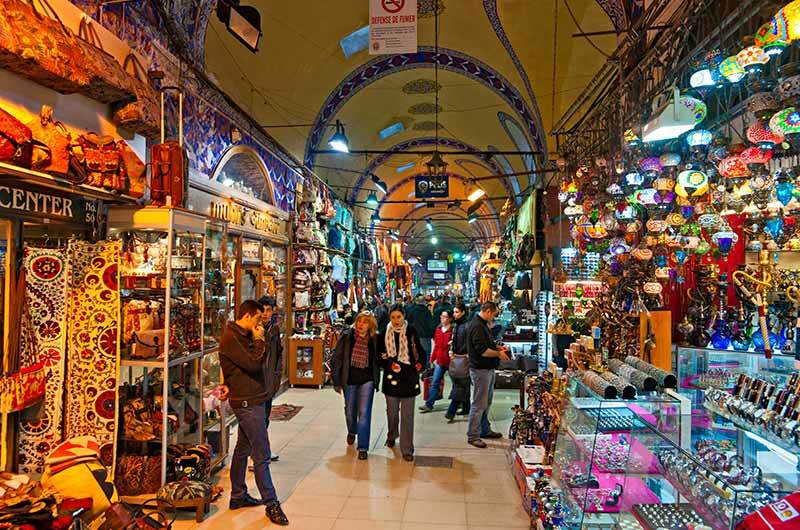 13 Day Turkish Treasures Book By Dec 12, 2019 & Save! We really enjoyed our trip to Turkey. Our guide had a PHD in History and really knew the history and the culture of the country. The hotels, food and the people of Turkey were great. The entire trip was very well organized. I would truly recommend this trip. Thank you Gate 1! We had a great trip. The guide Cagdas and our driver Kadir were excellent. Cagdas managed to teach us a lot of history in an interesting way so that no one was bored. A highlight was the balloon ride and I would advise everyone to try it. The accommodation and included meals were very good. It was a wonderful trip! We want to especially commend our guide, Ahmet. He was possibly the BEST GUIDE we have had with Gate 1 or any other travel company. 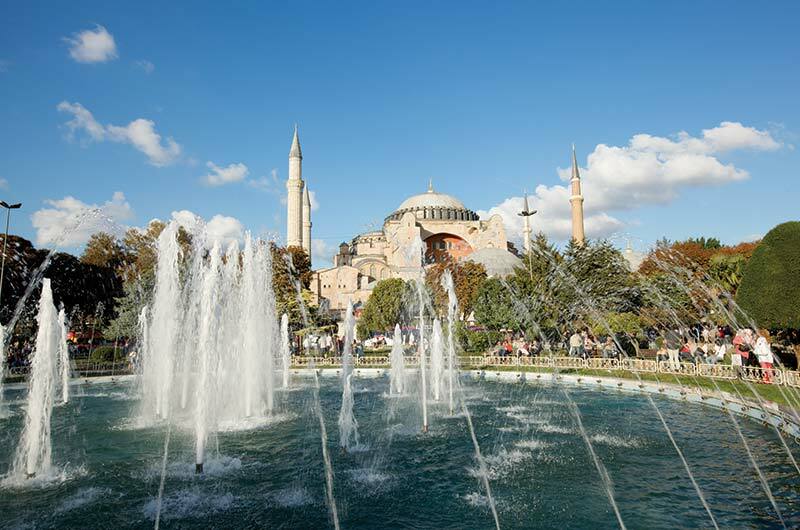 Turkey has a complicated and very long history compared to many other places we have visited. He was extremely knowledgeable about all the places we visited, and gave us appropriate in-depth information based on our interests. I had done some preliminary reading on ancient history, and when quizzed, he definitely knew his stuff! Big smile! He handled the sensitive religious transitions and eras perfectly - he gave narratives about the different times and transitions without offending any culture or belief system. Not an easy thing to do in some cases... He would offer an opinion at times, but would ALWAYS preface these comments as his opinion and not as a 'fact'. This was much appreciated by all in our group. Above all, Ahmet had a very funny sense of humor and we would all laugh at some of the 'lost in translation' and different cultural difference situations. He is extremely kind, and always put the needs of his customers, us, in first place and did everything in his power to keep 29 different personalities all in a 'happy place'. He is completely thorough in his duties, and executes these duties flawlessly. I have some special dietary needs, and he always attempted to do his best to make sure that I was accommodated. He worked diligently with the hotels to help everyone with their needs. You have a valuable employee, thank you for sharing him with us. What a fabulous time Elizabeth and I had, it was great. As usual Gate 1 ticked all the boxes, fantastic guide (a walking history book), wonderful driver, beautiful hotels, great food, lots of "pit stops" and lots of time for good photo opportunities. Turkey itself was amazing - the incredible history, the ruins, the bazaars, Gallipoli - what can I say, one of the best trips Elizabeth and I have ever done. We loved Istanbul, felt safe all the time walking around on our own and the Turkish people were very welcoming. I would recommend this trip to anyone. Can't wait for the cruise in October! Our tour of Turkey was wonderful! The group we traveled with was well-suited to each other, and our tour guide, Ender, was a wealth of information. Thank you for a great experience Gate 1! Fantastic despite of the cold weather. Kudos to our tour guide Senol who is very knowledgeable, good sense of humor, always have a way for us to feel comfortable and at ease. I’m looking forward to my next trip, a River Cruise to Russia. And also a big thank you to our reservation agent for all of her quick responses to all my questions. Gate 1 .... the best!!!! We had a wonderful trip. We really enjoyed Turkey. Our guide Shenoy was superb. 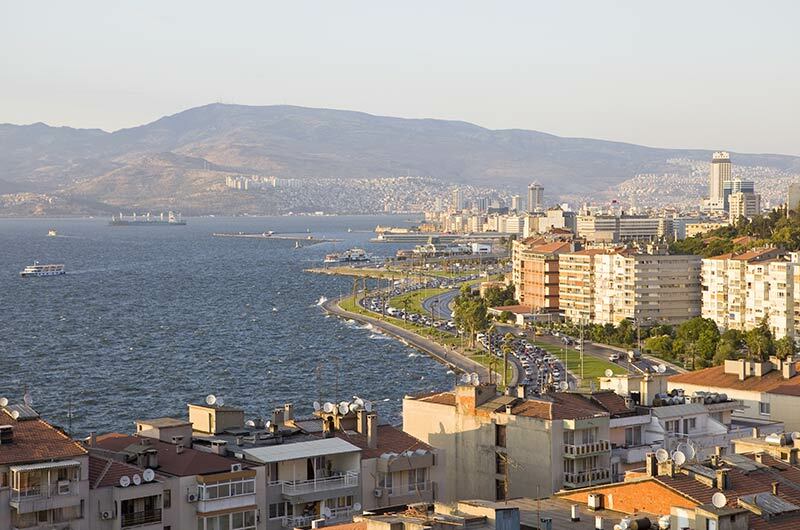 Very patient and very well versed with history, geography and all aspects of Turkey. We enjoyed the coastal Turkey as well as the central part of Turkey. Great food, and very hospitable people. Gate 1 did it again! Fantastic our guide Aykut was wonderful & so passionate about his country and history .... 27 years of experience and a former teacher. We will be recommending Gate 1 to our friends and family, excellent service, hotels and food. We travel a lot. For us this is the most memorable trip of our life. Gate 1 did not leave us with anything to complain about. Hotels were beautiful, food was excellent. Our tour Guide was an awesome person, very kind and always helpful. He explained every little detail about the History of Turkey. I had a wonderful time and was quite amazed at Turkey overall. It was nothing like what I was expecting. Sinol, the Gate 1 guide, was excellent, he had a great sense of humour and a wealth of knowledge not just on Turkey but the whole region. The accommodation was also excellent. The trip was pleasant and the tour guid Mr. Namik is very professional. Hopefully will go back again to Turkey, there are so many cultural and historical places to explore. The trip was great! In fact It was the best experience I ever had. Very comfortable upscale service. Thoughtfully designed visiting schedule. Knowledgable, friendly and charismatic tour director Ender. We would like to thank gate 1 travel it is the first time we traveled with you. And believe us it wont be the last. We are amazed with all your organization your planning...Now let us talk about Ender. He was just the best guide in the world. Kind, loves his country and he transmitted to us all his passion, smart, very cordial, taking care of all of us at all times. There are not enough words to describe him. He was a big part of a successful trip. The driver was an excellent, very kind, just an amazing person. We cannot thank you enough for this wonderful trip, your staff is just perfect and they transmitted to us all good vibes. Thank you, thank you, thank you. Our trip to Turkey was outstanding! Our guide, Yucel, was a treasure trove of history, archaeology and culture. We learned so much about Turkey that we did not know. I would highly recommend this trip to anyone considering in the least. We had another fabulous trip with Gate 1...The people were kind and hospitable. They thanked us for coming to visit. The country is clean from garbage, homelessness and drugs. We never felt unsafe which for many people is a reason for not going. Our Tour manager/ guide was top notched Delek Celek. She kept us entertained, ontime and was a delight. She was so knowledgable about her country and all the events within her country. We loved Turkey and I was so happy to spread the word through Facebook our wonderful trip. Everything was perfect!!!!!!!! Fabulous trip. I cannot day enough good things about our guide, Senol. He was absolutely the best. His intimate knowledge of Turkey mixed with his humor made the trip delightful. Everything was managed so well that we didn’t have to worry about anything. The accommodations exceeded our expectations and the buses were very comfortable. Thanks for the trip of a lifetime! And a special thanks to Senol for making me fall in love with Turkey! In a nutshell, the trip was fabulous in every respect. I could not have been more pleased with the quality of service and all the amazing experiences that were included. The trip was made even more special by the attention, knowledge and caring of our guide, Oguz. He provided a wonderful introduction to his country and was top-notch, truly. I look forward to more adventures with Gate 1! We had a wonderful time. Had the best guide, excellent service, good tour, comfortable bus for land tours and hotels. Balloon ride was terrific. Our group was very friendly. Ender, our tour manager was the best! His superb knowledge of history and top rated hand-holding service at every step of the way is acknowledged. He is an asset to Gate1. Excellent: Delivered all as promised, price/value was right on. Our guide, Namik, was very well-informed skillful at imparting knowledge, and receptive to questions. He was pleasant, humorous, helpful, and went out of his way to get our group the balloon ride in Cappadocia the day after it had been scrubbed due to weather. The itinerary was excellent, though the early mornings were wearing. 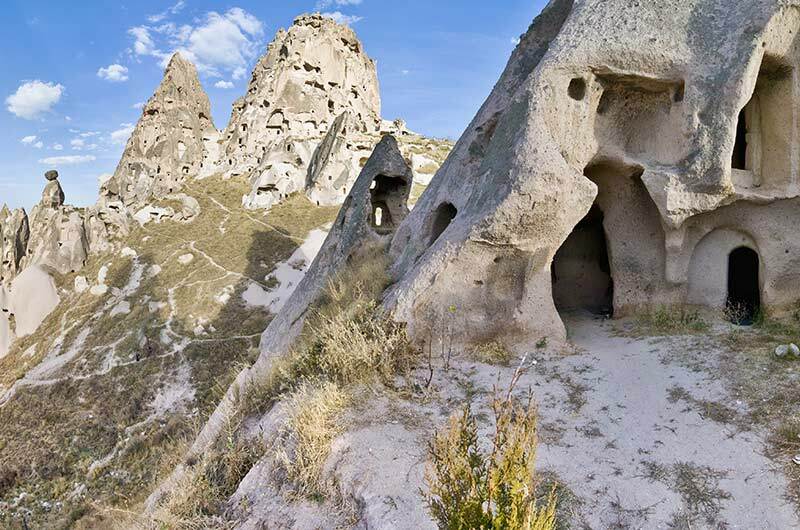 Highlights were the Blue Mosque, Hagia Sofia, Topkapi, in Istanbul, Ephesus and Heiropolis on the road and, of course Cappadocia and the balloon ride. Bus was comfortable and the drivers very professional. Gate 1 gets high marks. I'm already booked for Morocco in December 2018. The trip to Turkey was awesome. Really enjoyed and the tour guide was very knowledgeable and made sure we were all taken care of. Would definitely recommend this trip. The trip was amazing. We had a great tour guide. The only thing was it was packed with lots of events and we had to wake up early every morning. But other than that it was a great trip. Our trip was wonderful. The weather cooperated so NO RAIN. Our guide was excellent--very personable and knowledgeable and a lot of fun. Driver was excellent. We thoroughly enjoyed the itinerary. Having been to Turkey previously, we liked seeing different sites, especially the school and having lunch in a private home. Our trip was excellent and our host Ender was really good. The trip was well organized and the tour manager Ender is very through with his schedule and the time. We really liked the Turkey over all and enjoyed very much. we will look forward some other country tours in the near future. The trip was great. It met and exceeded all our expectations. Sayat, our guide, was wonderful. His knowledge, experience, and passion really made a huge difference for all of us. Thank you for a great experience. We had a fabulous time. It is certainly the best trip we have taken for many reasons. I was a little nervous to go because of recent unrest in the country but we are so glad that we went. Ender, our guide, was so informed and spoke in depth about all the sites we visited and we learned so much about the people and their history.He also was very kind and warm and we felt like family by the end of the trip. Gate 1 also went over the top in many respects on our trip; we had a full-size tour bus even though our group was small. Also, on the Bosphorous cruise we had a full ship to tour the sites. The sights were amazing! The Cappadocia balloon ride was breathtaking and the ancient sites that were so well preserved had us believing we were a little Roman, All in all a wonderful and memorable trip. Thank you! It was beyond my wildest expectations. Our guide, Namik, had an incredible grasp of the history and religion from antiquity to contemporary times. This enriched our experience and enlivened a simple walk down an ancient street cobbled by the Romans or a view of a mother goddess crafted by the Catalhoyuk. Nami also found opportunities to build connection with the culture. For example, enjoying a Turkish quesadilla prepared by mother and daughter on a domed grill over a wood fire, as he interpreted a lively conversation. Or the time we visited the school and later the carpet center. Precious moments with Turkish people between amazing landscapes, history, and photo ops that deepened my own love of the country and the people. All other Gate 1 personnel were equally professional and efficient. I was met promptly at the airport on arrival. The bus driver was both skilled and careful and managed tiny city streets, curving mountain roads, and highways with the same exceptional skill. And upon leaving for home our, transfer was at the hotel just before 3:00 a.m. and took us through the airport to gate security to be sure we got where we were going. All accommodations were excellent and the only problem with the food is that there was too much of it all the time! One thing the hotels could improve upon is the beds. The Legacy Ottoman and the Renaissance both in Istanbul were great. But after that not so much! I was so pleased to see that Gate 1 is still offering a full schedule of the 13 Day Turkish Treasures Tour next spring. I went at a bit of a risky time though US State Dept. had already lowered the risk just before I left. I never felt unsafe or threatened at any time during my stay. I will absolutely take the Eastern Turkey Tour should it ever come to fruition - might even take the Western tour again! I cannot recommend more highly the tour and this particular team. It was the constant support of guide and driver that made the trip so exceptional. We had an amazing time in Turkey. Now that we are home settling in and continuing to unpack, so many special memories are coming back to us. What an amazing trip. And what amazing people. It truly is a shame to see the hit that their tourism industry is taking right now. 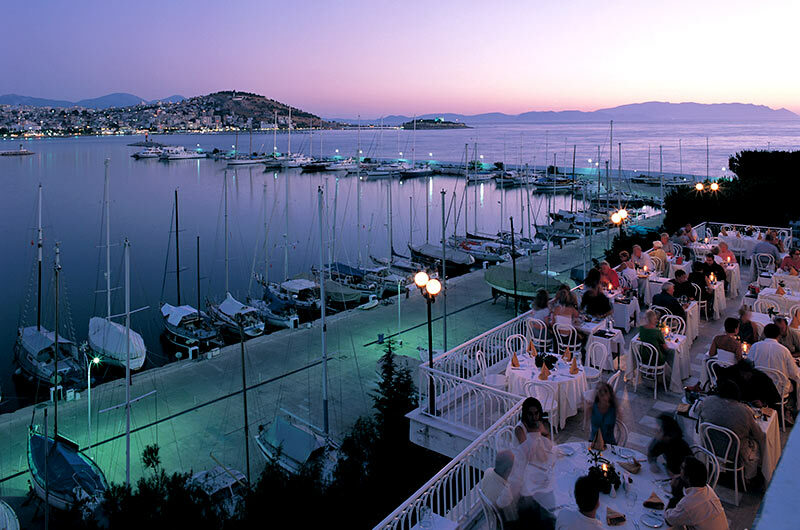 I have been recommending everyone I know to check out the Gate 1 Travel Turkey itineraries and not to hesitate to go. The entire time we felt safe and enjoyed every second of this adventure. The Turkey trip was wonderful, we got to see and do so many things, Turkey is amazing. Sad to see tourism down and being there, there doesn't seem to be a reason for it. We felt very safe everywhere we went, taxi's, metro and walking great distances both at night and during the day. Turkish people are very welcoming and so friendly, we never worried for our safety. Our tour manager was very knowledgeable and shared so much information with us. I definitely would go back, but there are so many places to see in the world. On to the next adventure. It was fabulous! Sayat was a fantastic guide and we had a wonderful time in Turkey. Our trip to Turkey was amazing!!!! We are so impressed with Gate 1, and we loved everything about our vacation. A huge congratulations to Metin and our driver "Jason" and the assistant Medgit (I apologize for the spelling!) for providing us with the BEST possible vacation. We could not have asked for friendlier people. The knowledge of all three, especially Metin, and their absolute patience and kindness is something to be marveled at...I wish I could have Metin as my guide for every single vacation we decide to go on next-he was truly remarkable! My husband and I have done nothing but tell people about Gate 1, and what a BEAUTIFUL, hospitable, safe country Turkey is-and we urge them all to travel with your company. Thank you all again for all of your hard work, and to all the behind the scenes people in the offices that don't get enough credit for organizing everything, thank you too! Our trip was well planned, safe, comfortable, educational and entertaining. 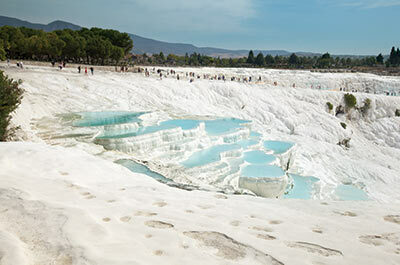 I would recommend Turkey's adventure to any one who ever dreamed to see the wonders of Istanbul, who wanted to tour the ancient cities of Troy, Ephesus or Pamphylian, who never lost a desire to experience scenery of the hot springs of Pamukkale or magnificent landscape of Cappadocia from above the ground. Gate 1 helps to make those dreams come true making adventure worthwhile. Our trip was outstanding! Our tour guide, Metin was extremely knowledgeable and did an excellent job. He really made history come alive and reminded us of all the things we learned years ago. It was so great actually walking through the locations we had read about in the Bible, in history books, and in historical movies and documentaries. The accommodations were great. Everything far exceeded our expectations. 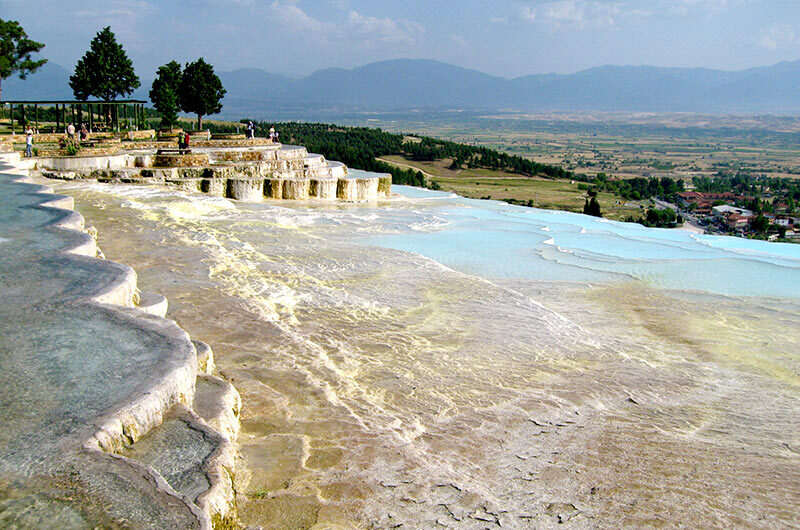 We highly recommend this tour of Turkey. This was our 4th tour with Gate 1 and all have been spectacular! The trip to Turkey was great. Probably among my top 3 international trips. The country is very pretty. And it's rich with wonderful relics and ruins of the ancient world. I can not say enough abut our Tour Guide, Oguz. He was extremely knowledgeable about his country and showed his love of it by sharing it with the group. No matter what question was asked, he knew the answer and was in-depth about the information. He was charming and patient and very organized. Gate 1 could not have a better, more informative guide for Turkey than Oguz. The Trip to Turkey was so great! Our travel guide Farok was so nice and considerate. He provided us with information about all the Roman Ruins, history of the various people who lived in the region, and answered questions. Turkey is such a great country with free education, low unemployment, and a growing economy. We felt very safe there. We were such a small group of ten that everyone knew each other well and enjoyed the joking. We ate together a great deal because breakfast and dinner was at the 5 star hotels. We enjoyed our our side trips that we purchased. I would recommend this trip with Farok to EVERYONE! Fabulous!! Faruk was super! Sights unforgettable. My trip was incredible. Ender, our tour guide, was a fountain of knowledge about the geography and history of Turkey. He delivered the information in a very entertaining manner. He kept us on time, but we never felt rushed Our driver Vidat performed driving maneuvers that seemed impossible. He was awesome. We felt safe with Ender and Vidat. Our group melded almost immediately. We laughed most of the time. 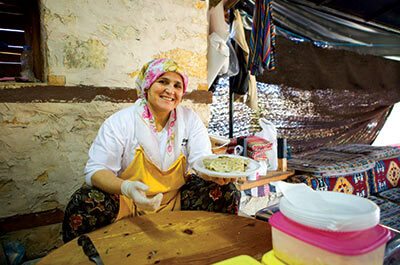 Turkey is a land of many ancient and diverse cultures. It's fascinating and beautiful and the people are warm and welcoming. I think it's a must-see for everyone. Gate 1 was so organized that we never felt like we didn't know what was coming next. I thank you for that. I'll be booking another tour with Gate 1. My 18th trip with Gate 1 did not disappoint. Many tourists are choosing not to travel to Turkey right now due to perceived security issues, but really in this changed world we live in where are you safe? Live your best life as you never know what is going to happen home or abroad - that's my mantra! Our group was small, just 13 people, but absolutely incredible in all ways. Turkey - Anatolia - Asia Minor - whatever you want to call it is a land of history, beauty, kind people and a superb destination. I felt completely safe and secure in all places, whether during the day or the evening. The tour covered 2,200 miles in its exploration around the country, but was well paced, comfortable and full of fantastic sights. 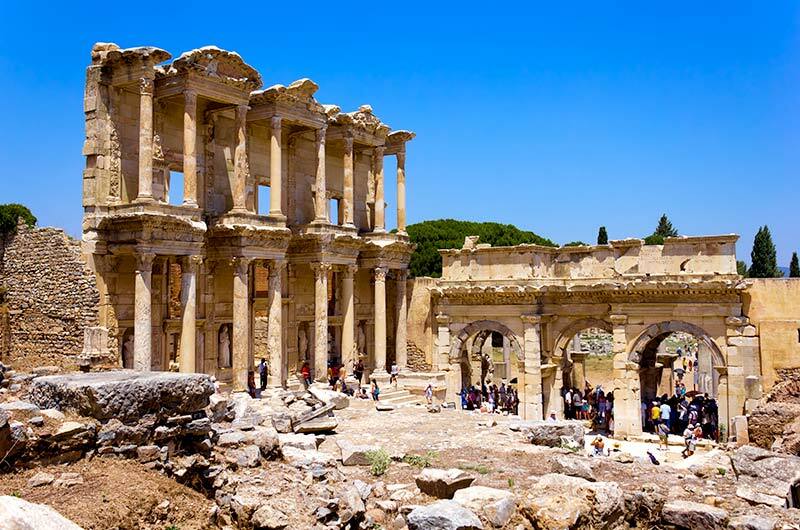 They say to see Turkey you need to see Istanbul and the UNESCO world heritage sights of Ephesus, Pamukalle and Cappadocia. We saw them all and so much more! Hotels were uniformly excellent, food was delicious and as always the tour manager and driver were brilliant. The driver Ekrem was very kind and a skilled and safe driver and the tour manager Metin was organized, funny, kind and a treasure trove of historical facts with a unique perspective, having spent some college time on archaeological digs around the country. His delivery of facts and figures was done in a way that made everything interesting. I was pleasantly surprised by how much I liked the capital city Ankara, clean, impressive, majestic and yet cosmopolitan and full of life. All optional tours I took were well worth it - the highlight being the hot air balloon ride in magical Cappadocia - a first class experience from start to finish. Thank you for another wonderful travel experience - on to the next with Gate 1 of course! It was awesome. The people are friendly the food was great. Yucell our tour guide was knowledgeable. Gate 1 did an amazing job with hotels, itinerary, tour, attractions and food. Well Done. Our trip was incredible from the start to the finish. Turkey is a beautiful place with lot if history and very hospitable people. All the hotels were good, food was excellent and all the cities we visited were very interesting. The tour group was small consisting of 8 which made it very close. We were thinking of cancelling because of the situation in Turkey. I am very glad that we did not. We felt safe and didn't feel any danger. Our tour guide Yucel was very very knowledgeable about the history of the country (maybe a history teacher). He was a great guide, very pleasant, and always accommodating. On a daily basis he kept the tour group on a timeline thereby be able to complete all the daily activities that were planned. We highly recommend him to future groups. Our tour driver Sezgen ( I hope I spelled his name correctly ) was very quiet but an incredible driver. We felt very safe with his driving. Concluding I like to say that we had such a great time with Gate 1 tour that I have been recommending my friends and relatives to to try Gate1 if they are planning a trip. Thank you so much for a good trip. If there is anything else I can do to promote Gate 1, please let me know. We had a great time! Turkey was exotic, rich in History, and culture. Our tour guide Mehmet was very knowledgeable, professional and patient with us. We could not ask for a better person. We look forward to going back, maybe in the eastern side next time if Gate 1 has that program. It was fantastic. The airline was excellent (especially liked the direct flights), all the hotels were great, and the food there was very good. We saw a lot of ancient sites, Mosques, Palaces, etc. and it was made all the more interesting by our marvelous tour manager Oguz. He took care of our every needs and had an incredible knowledge of Turkish history (kudos also to our driver Duran). We made a lot of friends as every one on the tour got along famously. This was our 4th tour with Gate 1 and I look forward to the next one. The trip was great and we are safe because of the security forces and the good Gate 1 planning. On a scale of one to ten I would give the trip a 9.5. What a wonderful trip!!! Just wish more people would have taken the opportunity to see Turkey and meet the people. You wouldn't believe the number of people we met who welcomed us to their country and thanked us for not being too afraid to come. It was a great trip. This was the first time I used Gate 1 Travel, must say they were great at every step of the process including the trip itself. Great hotels, even the minute things like the rest stops to lunch stops were well planed and gave us a good flavor/experience of Turkey. I have already recommended the company to my friends and family. We had a great time. Turkey is a gem. We also had a wonderful and knowledgable guide, Dilek!!!! She is a wonderful ambassador for Turkey as well as your company. Our trip to Turkey was wonderful made so much more enjoyable by our tour guide Nam, whose knowledge of history, politics and his account of the daily life of the Turkish people were exceptional.He also ensured that we were safe.We could not praised him highly enough. My wife and I throughly enjoyed the trip and would not hesitate to reccomend to others.